When I started this yarn/crochet peregrination (word of the day), I had no idea just exactly how many exciting twists and turns this journey would take me on. Like all journeys, some days are tough, but some days, like today, are filled with wonder! Why is today filled with wonder? 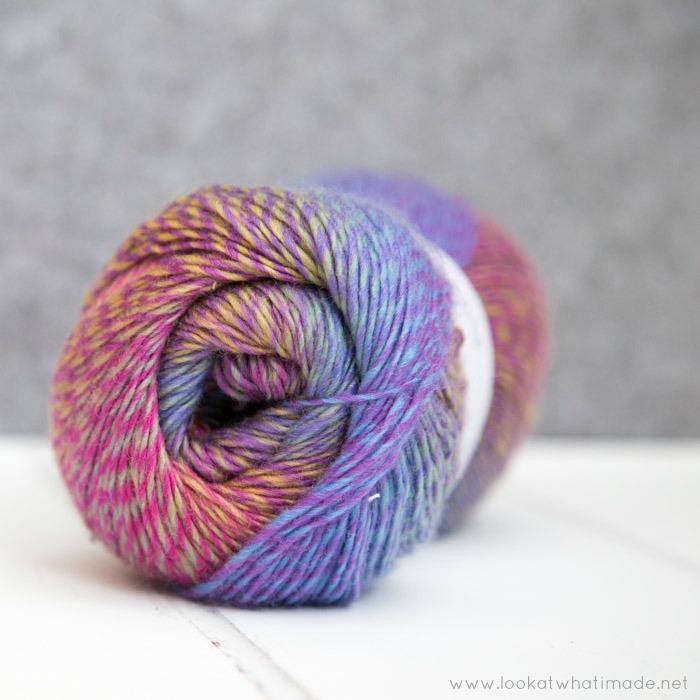 Because I finally get to tell you about ‘the day I got to choose a yarn colourway’! 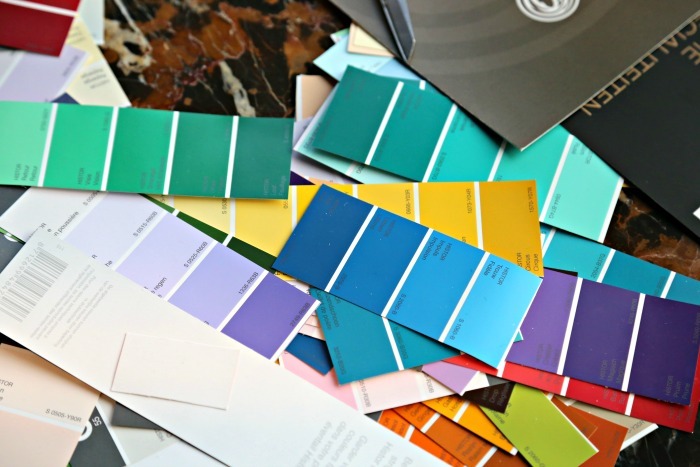 At our annual Scheepjes Bloggers Weekend last year, we were pointed to a table filled with paint colour charts. Cool, I thought. We are going to have a workshop about colour swatching or using colours in mood boards. I wish you could have heard the squeals when we found out that the charts were actually there so that we could each choose a colourway for a new yarn! 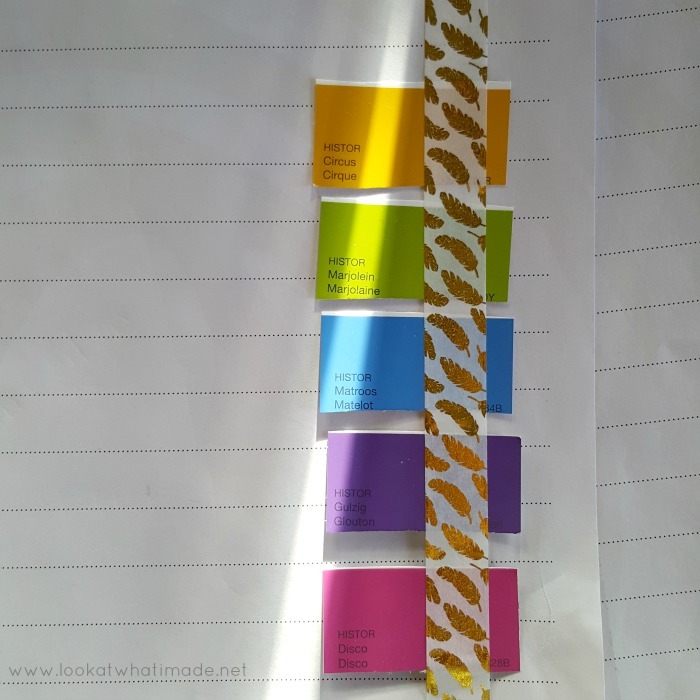 …very similar to some of the colours Jellina used for her Bloembollenveld pattern (I took the photo below the day before we got to choose our colourways). 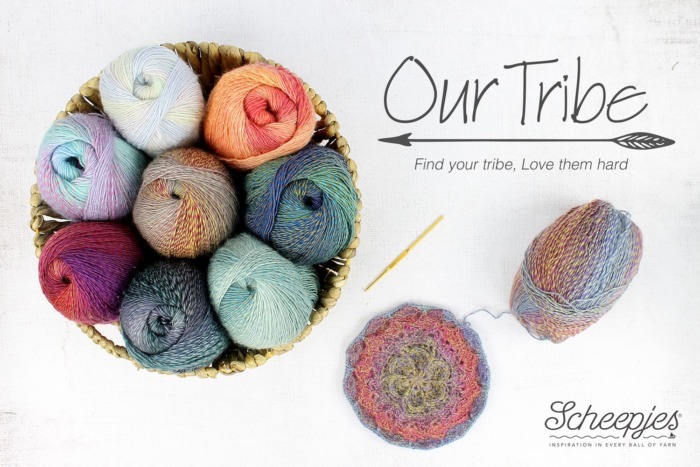 Jellina has also shared an absolutely stunning photo of all the Our Tribe colours on her blog HERE. Susan from Felted Button went for similar colours (minus purple) but she chose more pastelly (is that a word?) shades. You can hop over to her post HERE if you would like to see her colourway (and also how my colourway works up in her secret new project). Nerissa from Missneriss chose similarish colours too, but in even more pastelly shades – you can see her colourway HERE. I think these three colourways would work really well together. When we saw the yarn for the first time at this year’s Blogger’s Weekend, we were so excited! Hop-in-our-seats-and-didn’t-listen-to-a-word-anyone-said excited!! The yarn represented so much more than yarn to us. It represented a bond of creative friendship I certainly never thought I would have. It represented respect, talent, integrity and joy! Due to the ply, the yarn did not look at all how we had thought it would… it looked so much better! 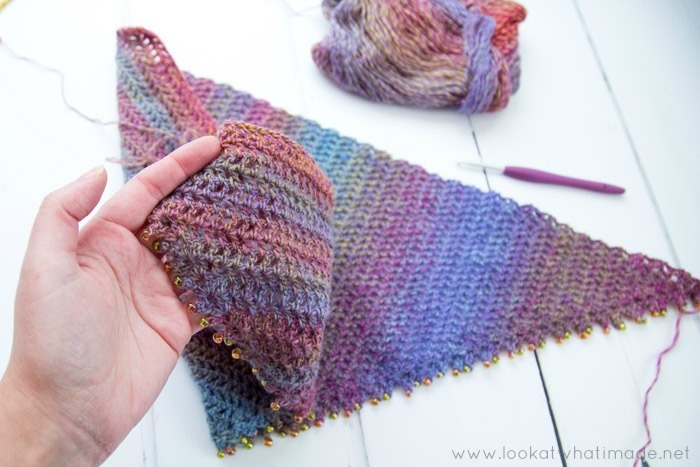 In some colours, the colour change is gradual and smooth (like Rachele’s colourway HERE). In others, the colour change appeared more dappled (speckled?) – like in mine. 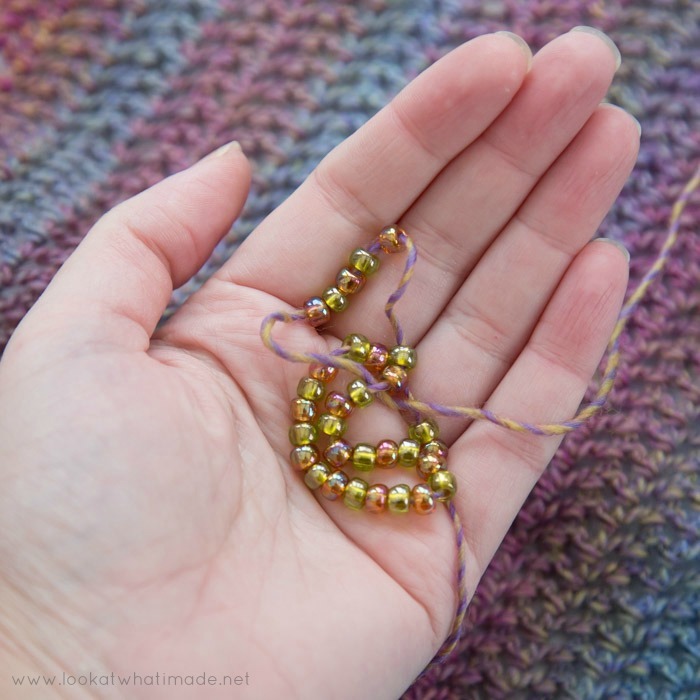 I loved the yarn in ball-form, but when I started working with it, I fell head over heels in love. I started making all sorts of small swatches. I am even knitting a swatch at the moment, but I don’t have photos, sorry! 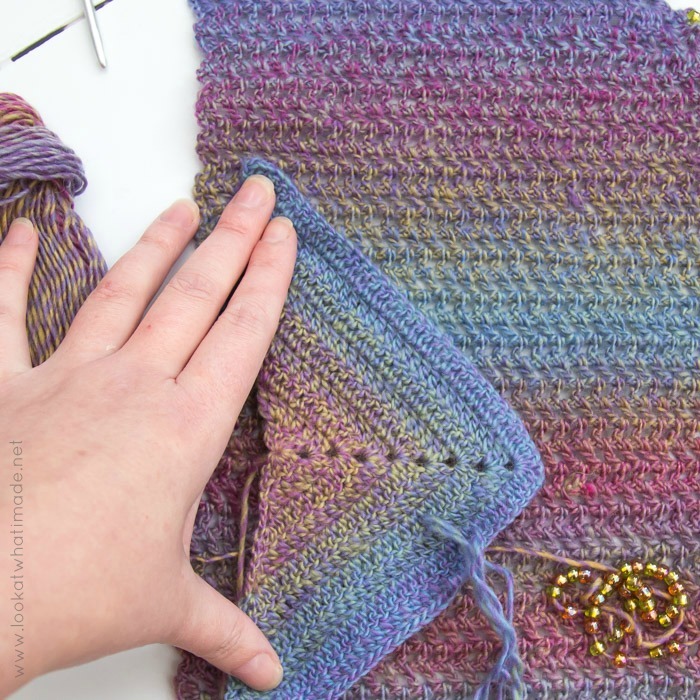 If you look at the photo below, you will see that a more dense pattern creates a slightly dappled Hydrangea-like feel (much like I was going for with the Memory Lane Blanket), while a more lacy pattern creates a more dappled Heather-like feel (more about the Heather-like pattern in a moment). 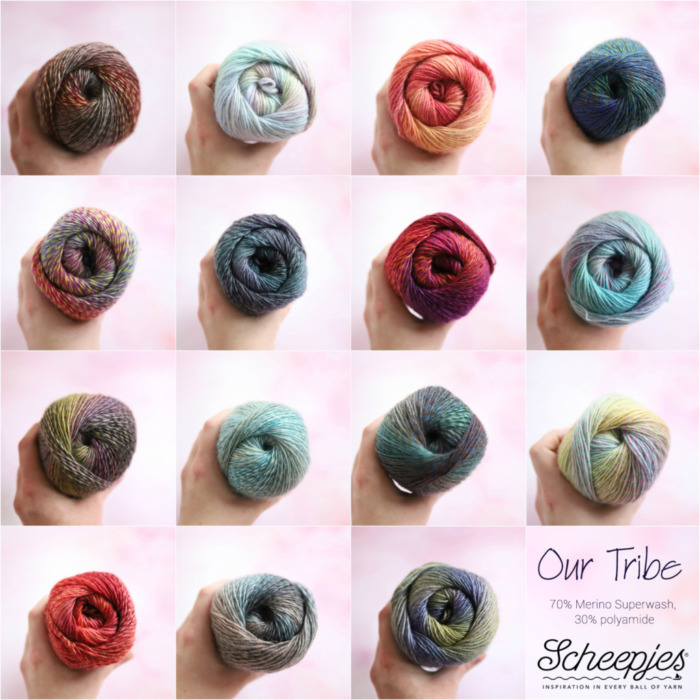 Our Tribe is available from all Scheepjes Stockists HERE. 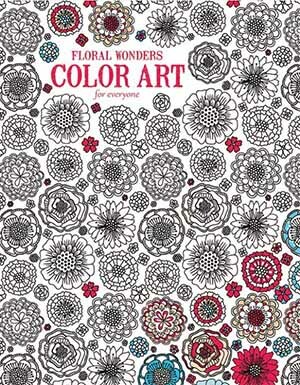 Kirsten from Haak Maar Raak has got some lovely ideas about which colourways to put together. You can see them HERE. I recently lost a very dear friend of mine, and while going through my photos to find a photo of her (she was not on social media and we never thought to take photos of each other when we met up across continents and years), I stumbled upon one taken at my wedding 12 years ago. On my quest, I found two photos that reflected this colourway, taken while we were preparing for the ceremony and reception. 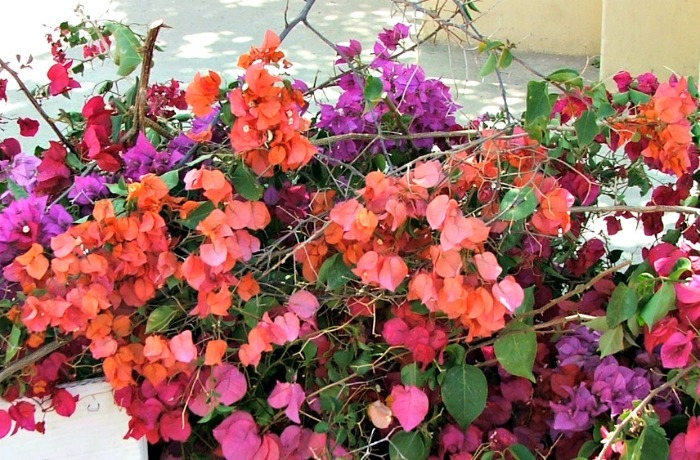 The first is this selection of Bougainvillea we used to decorate the venue with (the disused train station of my youth). 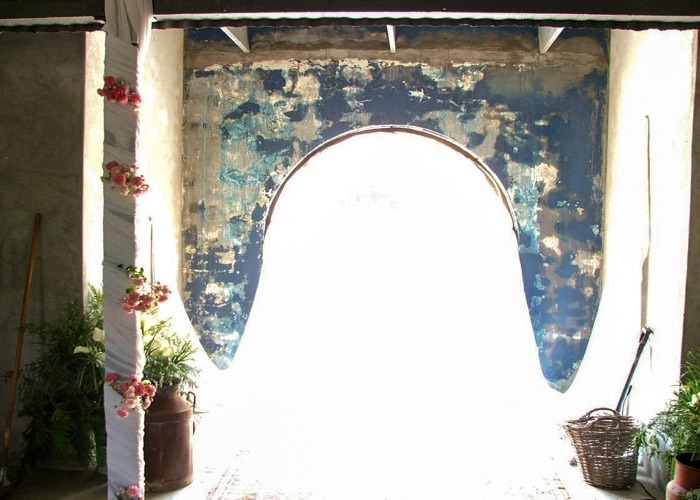 The second is the doorway of the train station – taken from inside the venue and glorious in its over-exposedness (again, not a word). I designed the My Story Shawl to encourage people to share their own stories and memories through their choice of colours and pattern. 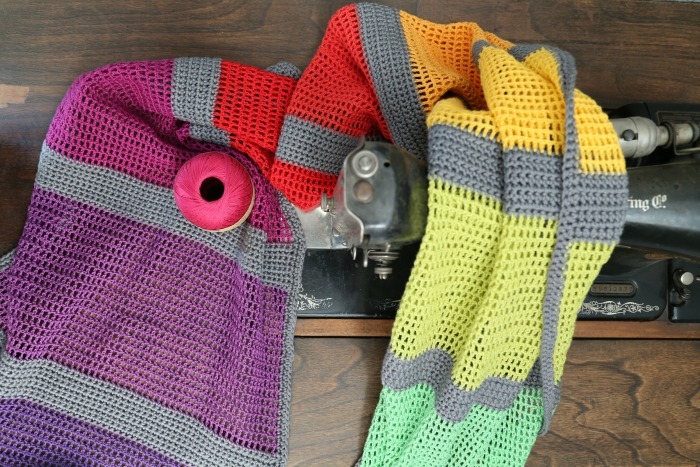 With the Our Tribe yarn, I wanted to do the same thing, but in a slightly different way. I decided to keep the pattern simple and reminiscent of the My Story (because this is still my story), but with a little touch of bling in the form of beads. The result has been an extremely happy marriage of heather and hydrangea, simple and bling, past and future. I just love the way the colours play together and will show you more when I have more to show you! I hope you will follow our yarn journey as Carmen from New Leaf Designs shares her colourway tomorrow. If you hop on over to her site, you will also get to see the vlog she did about all the colourways! 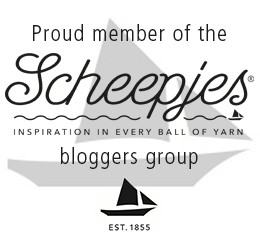 If you make anything with this yarn, I would love it if you would share your photos using #scheepjesourtribe. Absolutely beautiful yarn colors!!! 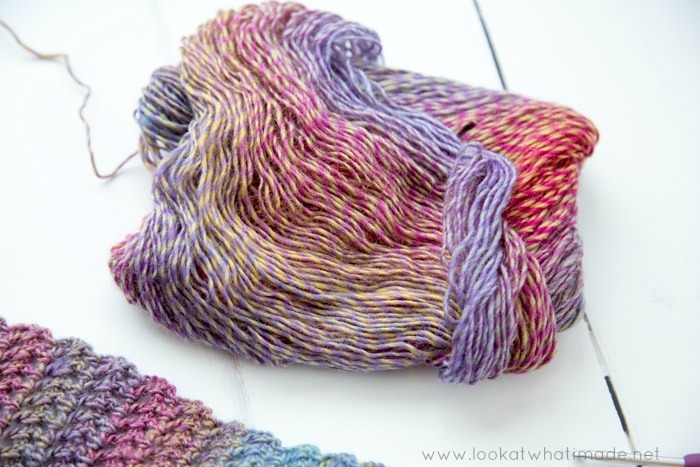 Do you know if the tribe line will come out in worsted weight at some point? I am so pleased that you had this experience, what a blessimg! Oh, Dedri, what genius to add the beads! I love it! Brilliant!! What a truly wonderful creative thing to do :). I ordered yours and 50 shades of 4 ply (Maria). Im tempted by all the purply pinky reddy ones – I can use odd words too grin. I had to look your word of the day up! Wow, your colorway is SO beautiful!! I don’t know how I stumbled across your blog but I love it. It’s renewed my love for crochet. I haven’t touched yarn in 5+yrs. Welcome to my little corner of the world. I hope you find lots of inspirational links!! You are part of my own story, Dedri. My life has been immensely touched by you….kind of like “before I discovered Dedri” and “after I discovered Dedri.” Wishing you many more yarny tales! Carolyn, it was a blessed day when we met. I am often surprised at how much you have influenced my life without us ever meeting in real life. Thank you :) I’ve just watched your video and it is so utterly cute and spot-on. Next time I see you, I’m putting you in my pocket and bringing you home!! !